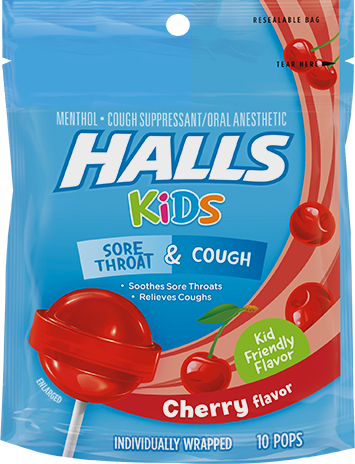 Parents, when your little ones are dealing with coughs or sore throats, give ‘em a taste of HALLS KIDS Cough & Sore Throat Pops! 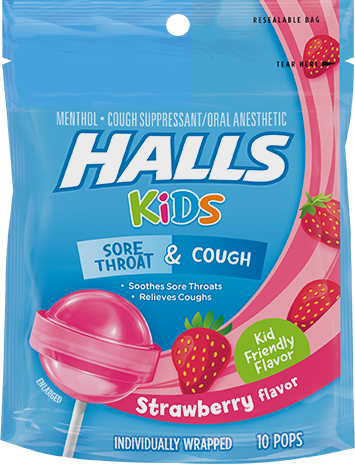 Available in fruity flavors your child will enjoy, they’re a relief for kids – and parents, too! 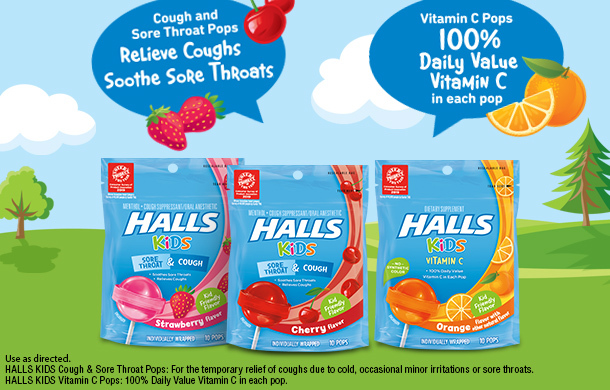 Keep ‘em happy with HALLS KIDS Vitamin C Pops. 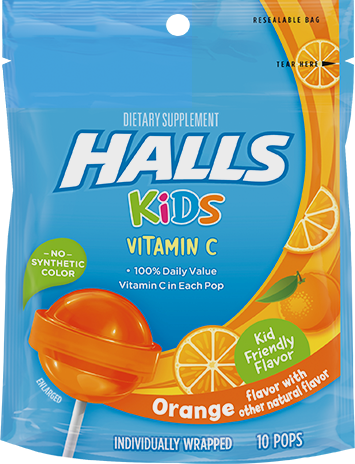 With 100% Daily Value Vitamin C in each pop, there’s something for parents to love, too. Adults and children 5 years and over: Dissolve 1 pop slowly in the mouth. Repeat every 2 hours as needed. Citric acid, FD&C red 40, flavors, glucose syrup, soy lecithin, sucrose, water.